Get ready to get your drink on. 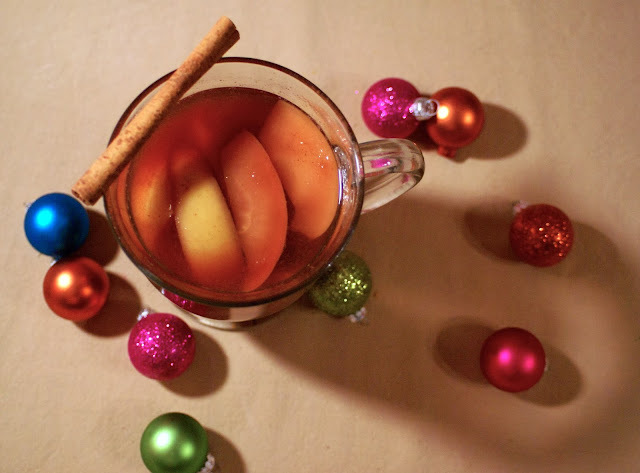 This grog is what I imagine the drink is the song “Baby it’s Cold Outside”. The answer is rum. Also, you’re not gonna want to go anywhere after you’ve have a steaming mug of grog. 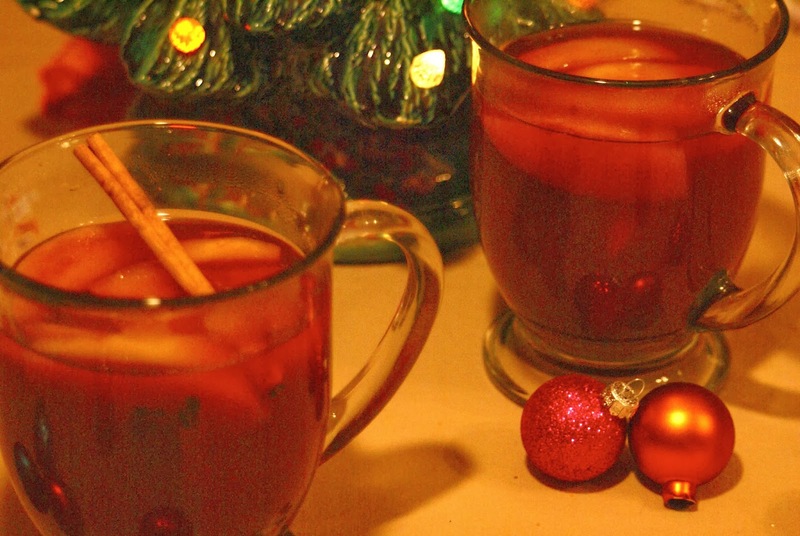 It’s the perfect winter weather drink, warm and spicy. Nick’s family has been making grog for as long as he can remember and ever since we started dating he has always talked a lot about this drink. It took almost two years for me to actually try it, but when I finally did it was love at first sip! 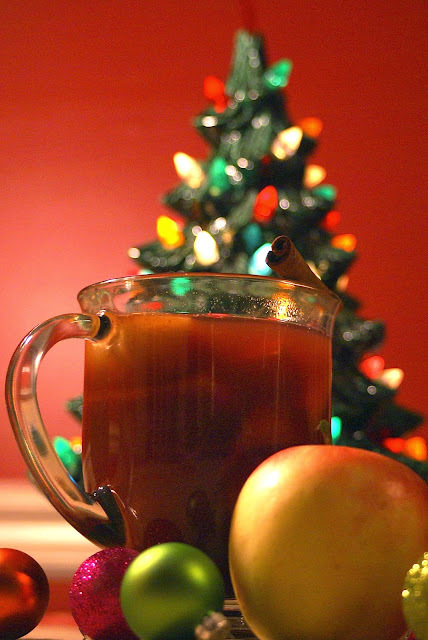 Apple cider, cranberry juice, apples, cinnamon, cloves, and rum make up this scrumptious drink. The tartness of pure cranberry juice perfectly compliments the sweet cider and rum. Cinnamon and cloves accent the overall flavor very well. 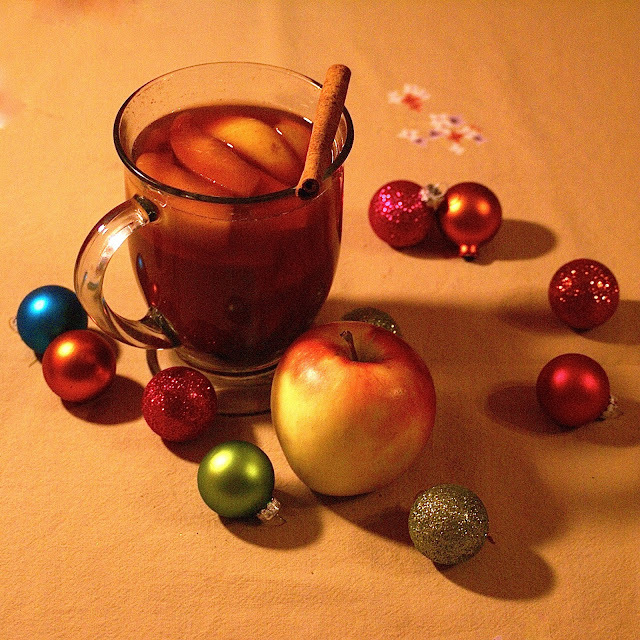 Altogether this drink is a hot apple cider with the extra depth of flavor by the spices and rum. Basically, better hot cider. There is no need to worry about the rum if you are not a big drinker, most of the alcohol burns off while cooking this. If the previous sentence made you upset, you can add a extra shot of rum when pouring the grog. That’s the best way to enjoy this 🙂 The long cook time makes the apples soft and lets them absorb a lot of the flavor from the spices. They are my favorite part of this drink. 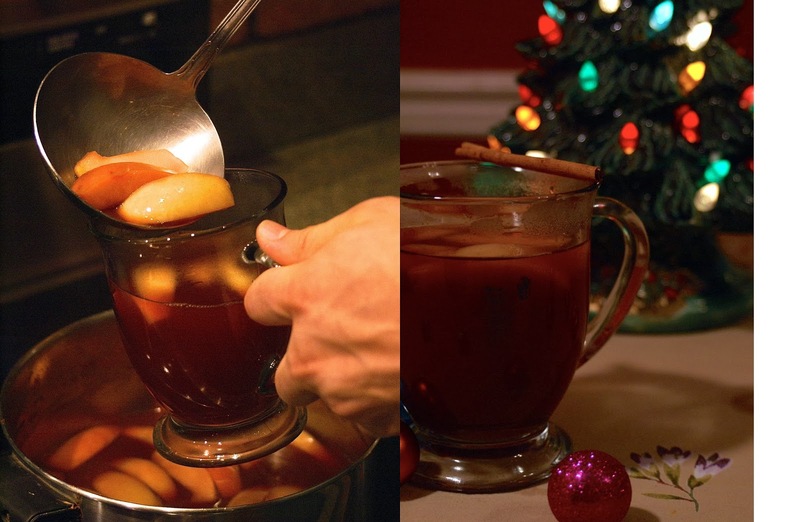 This is the perfect warm drink to cozy up with by a fire. Make it on a snowy day for that special someone. Or make it simply because it is delicious and you deserve it! Add cloves to a cheesecloth and tie the top so they can’t fall out. Add everything else to a large pot. Bring to a boil then simmer until apples are tender, about 30 minutes. Serve with a cinnamon stick and a shot of rum, if desired.